Constructed out of an accordion style aluminum frame, Pop-Up Displays have been optimized to be lightweight, easy to set up and as compact as possible when collapsed down (fits in a 9″ x 7″ x 33″ box). When expanded, a 10ft. Value Pop-Up Display measures 10 ft. wide x 8 ft. tall. 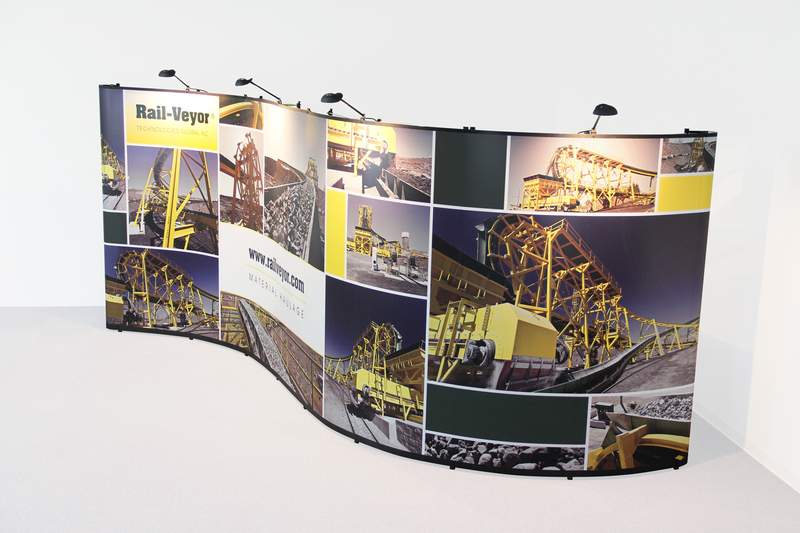 Pop-Up Displays come in various shapes and sizes. Combining an 8 ft. frame with a 10ft. 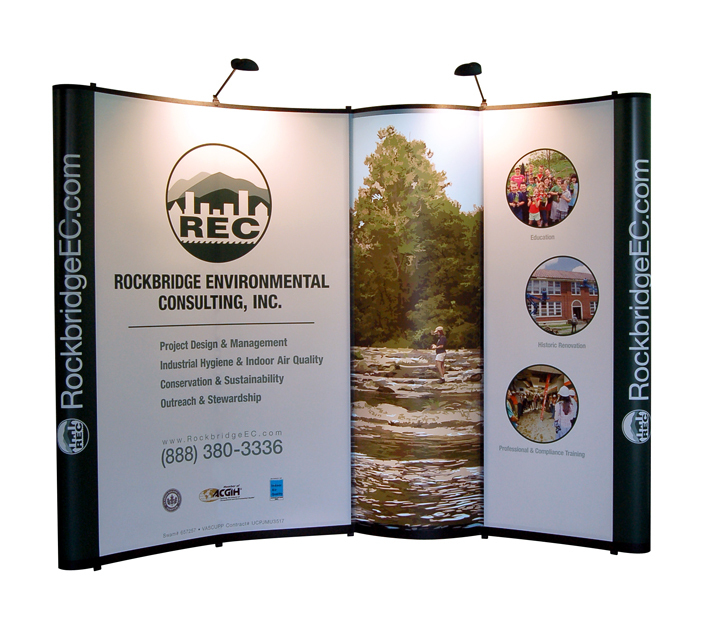 frame allows you to create a 20ft Pop-Up Display (pictured above). The great part about this is that it allows you the flexibility of using your booth in an 8 ft., 10 ft. or 20 ft. configuration, depending on the amount of space you have at your next show.